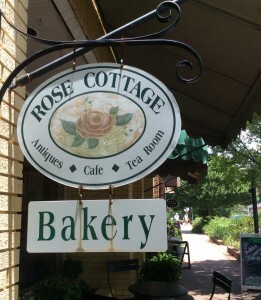 June 19, 2015 – We got lucky and found the Rose Cottage Bakery in Pine Mountain, GA while visiting Callaway Gardens this summer. 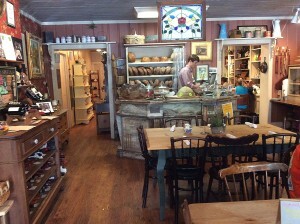 It was a great place for lunch, I had the cafe’ quiche made with spinach and asiago cheese. The quiche was good but it was the tea that blew me away. 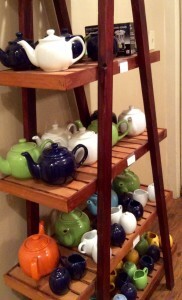 They had a tea menu with 2 pages of selections including a variety black, green, oolong and herbal teas to choose from. I chose the Rose Scented black tea. 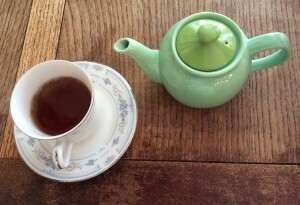 It was loose leaf tea properly served in a nice little round teapot with an infuser. I let the tea steep to the desired strength (strong) and removed the infuser so it didn’t continue brewing and turn bitter. The heady rose scent alone made this a memorable tea. The floral notes, although a powerful bouquet, made for a tasty brew. 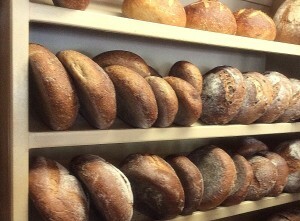 The aroma was soothing and invigorating at the same time. 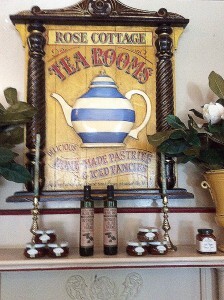 Tea is well-known for its health benefits but the rose petals and rose oil added Vitamin C so that was a nice bonus. Knowing that, I felt quite virtuous and figured that slightly made up for the indulgent quiche. I’m almost sure that’s how that works, isn’t it? 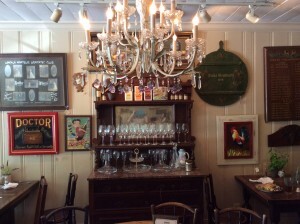 There are antiques throughout several cozy rooms in the cafe giving it a homey and welcoming feel. If I were to change anything, I’d get rid of the clear plastic shower curtain behind the cash register. It seemed rather odd and totally out of place. 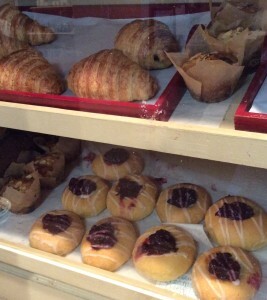 Good food, fresh baked bread, cookies and pastries. And exquisite tea. If you’re in the area, I recommend stopping in! Even a little something to make you smile. 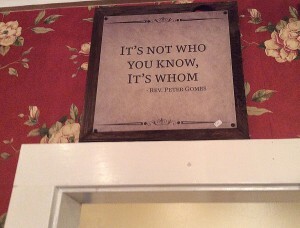 For my grammar-loving friends! ← Chocolate Truffle Tango Tea from Thistle Dew! Think it is time for the girls to go on a field “tea” trip.